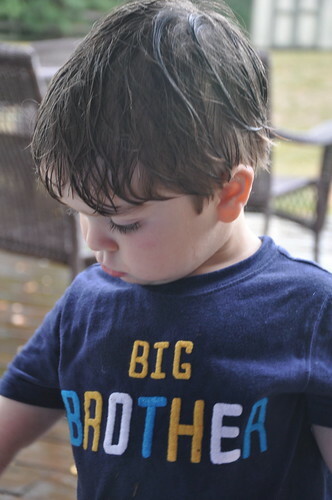 Big Brother Cooper is getting a crash course in patience and compromise with two new baby siblings in the house. 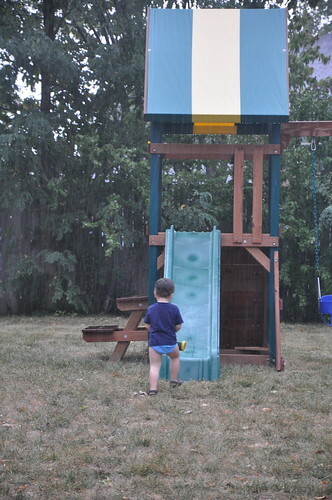 I couldn’t blame him for wanting to bust out for a little while, despite the inclement weather. 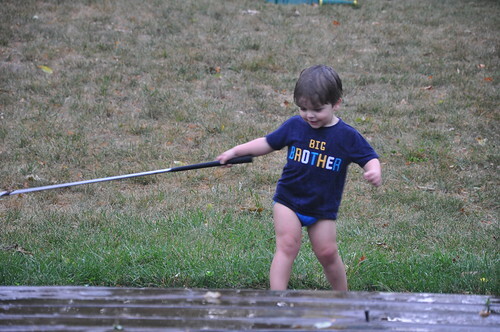 How cute is he here, playing in the pouring rain? Meanwhile, I got a refresher course in swaddling. I don’t have a photo of the babies swaddled up, but all you parents out there are probably familiar with The Baby Burrito, which is when your baby is packaged so perfectly in a blanket that he/she looks like a burrito. 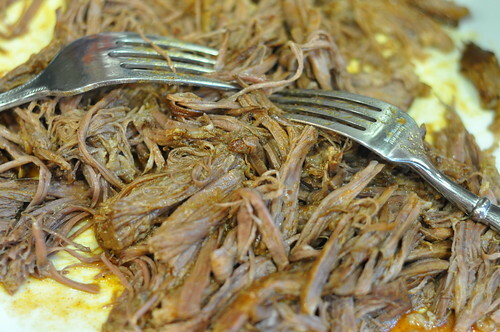 And THAT reminded me of a super easy crock pot recipe I hadn’t posted yet. If you, like a certain family of Lexingtonians we know, have your hands full, this recipe for shredded beef burritos takes very little work but is REALLY good! I found the recipe when this blog post circulated on Pinterest a couple of months ago. 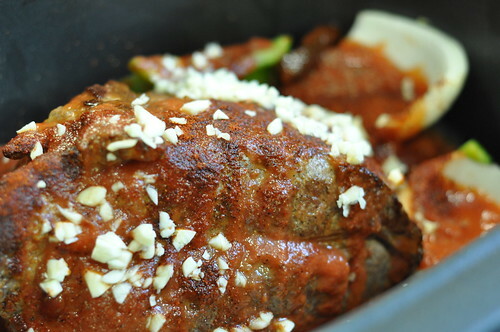 It’s a pretty genius post, by the way, if you’re looking for some new crock pot recipes. *These come in a can; I found them in the Hispanic cooking aisle of the grocery store. There are several peppers in a small can, but you only need one. Feel free to use a few if you like it spicy. Trim, rinse, and pat dry the roast. Generously salt & pepper the roast on all sides. Sear over high heat until thoroughly browned on all sides. 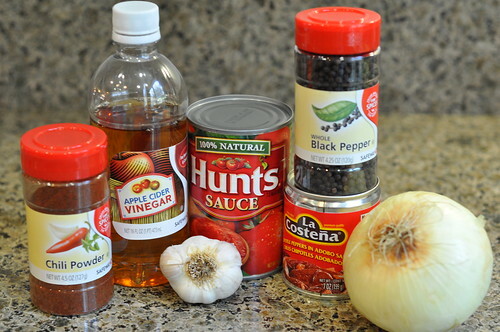 Transfer to crock pot and add remaining ingredients, including a few more turns of black pepper. Cook on high heat for about 5 hours or on low heat for about 7 hours, or until the meat is fork-tender. 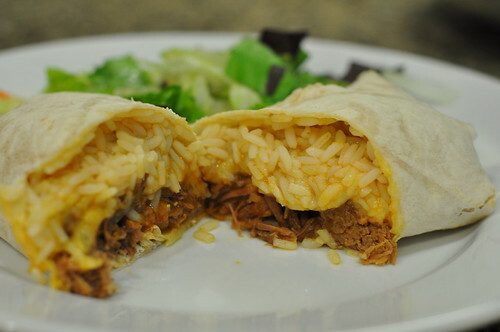 Serve in burrito-size tortillas with the burrito “fixins” of your choice – rice, beans, cheese, lettuce, salsa, guacamole, etc. The leftovers are great too later in the week! I love reading your blog!!!! 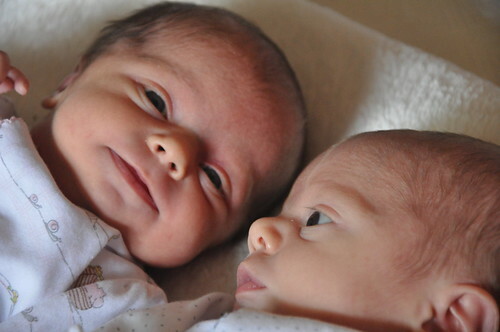 Haley’s double addition is precious! I love the picture of them looking at each other. 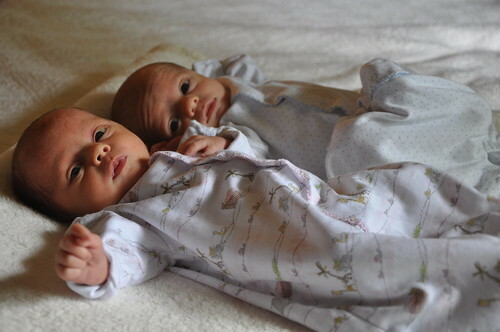 My sister has twins, also with an older brother – I sent her the recipe and link to the other crock pot recipes. She loved it! Glad you survived the separation form your darling girl. It’s not easy, I know. Fantastic analysis . Apropos , people a DS-230 , my friend filled out and faxed a template form here https://goo.gl/jp4hfi.